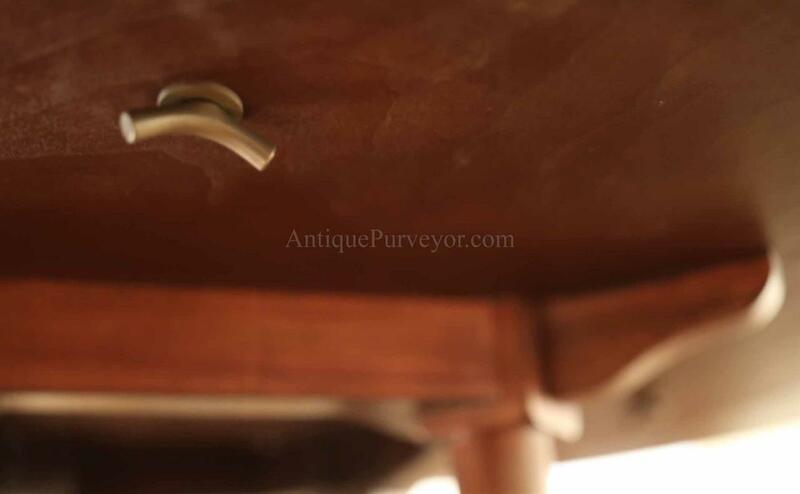 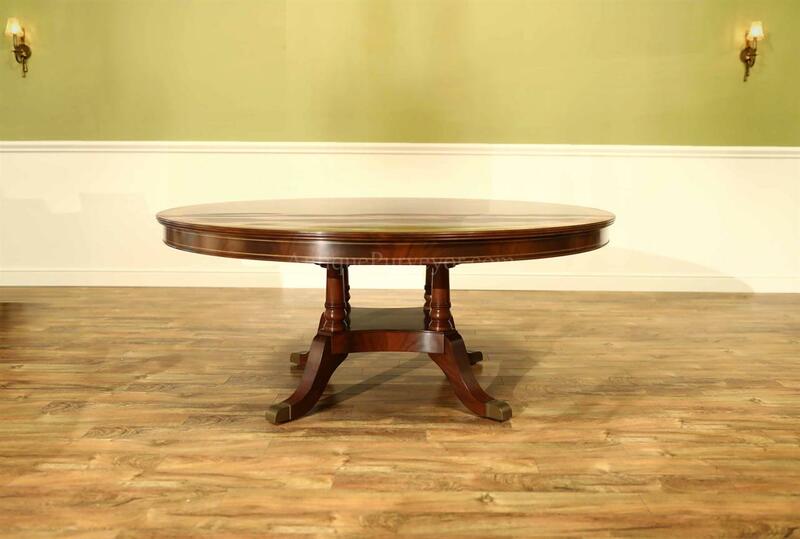 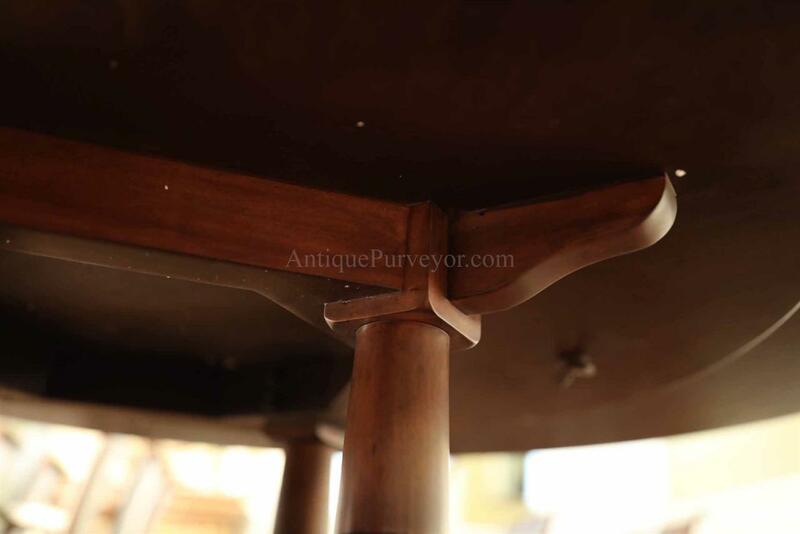 Description: Hard to find 72 inch round mahogany pedestal table. 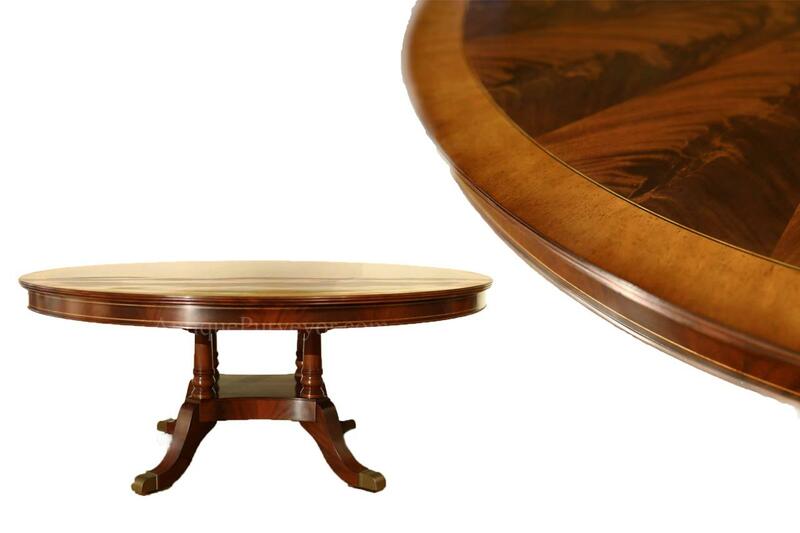 An exclusive round pedestal table built just for our online store. 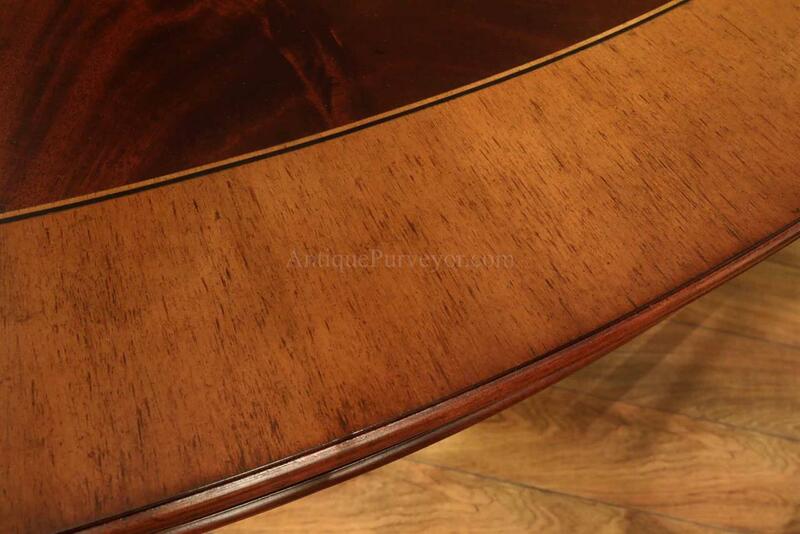 This table has a pie-cut flame mahogany field with a glazed and toned satinwood border. 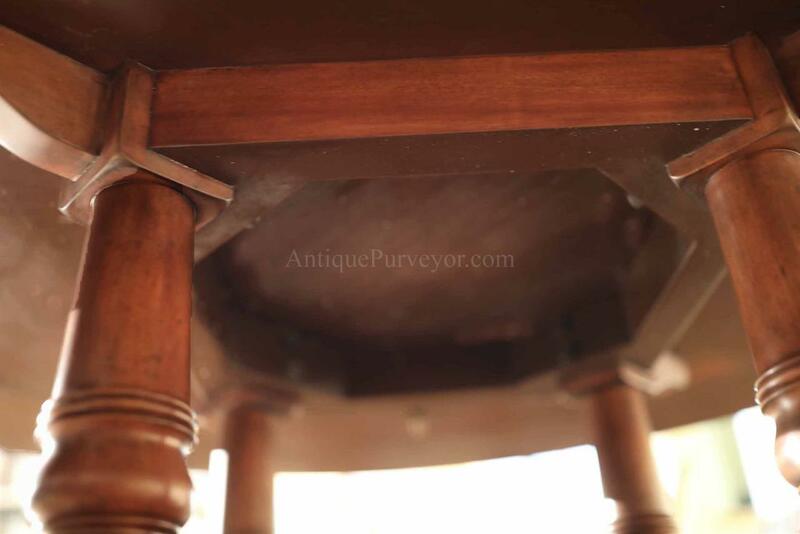 Table sits on a sturdy and wide overbuilt birdcage pedestal. 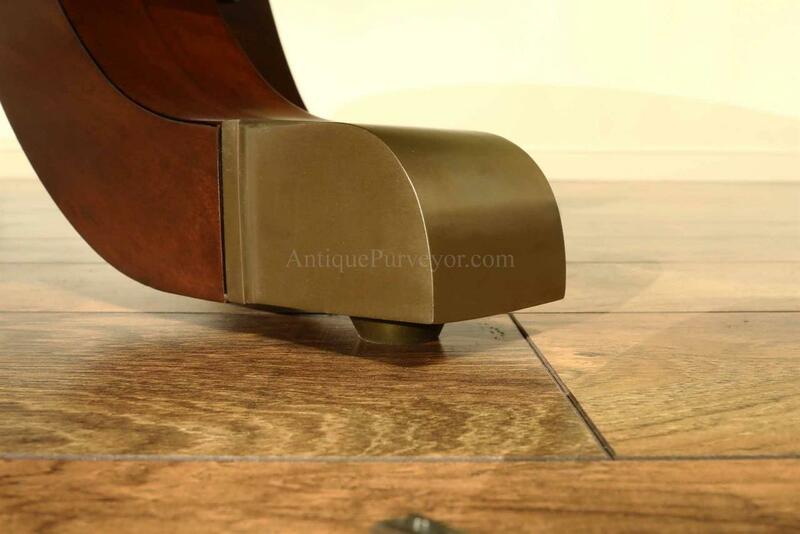 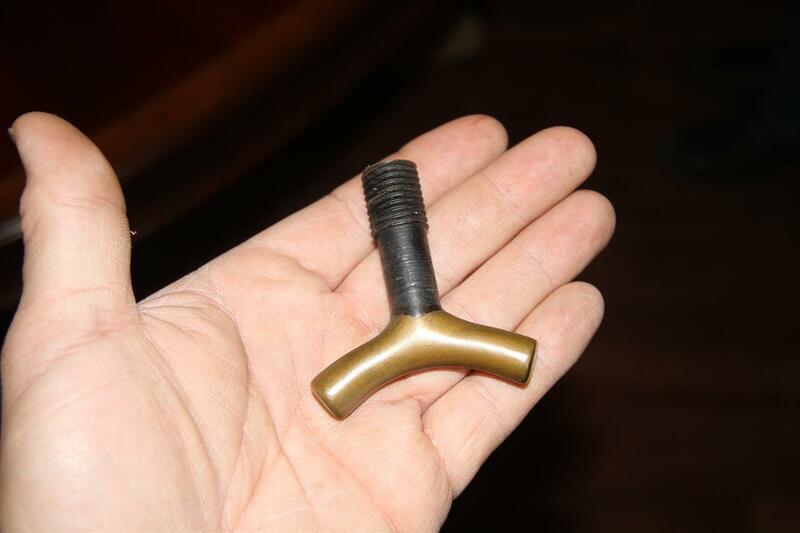 Custom forged brass casters are manufactured in-house. 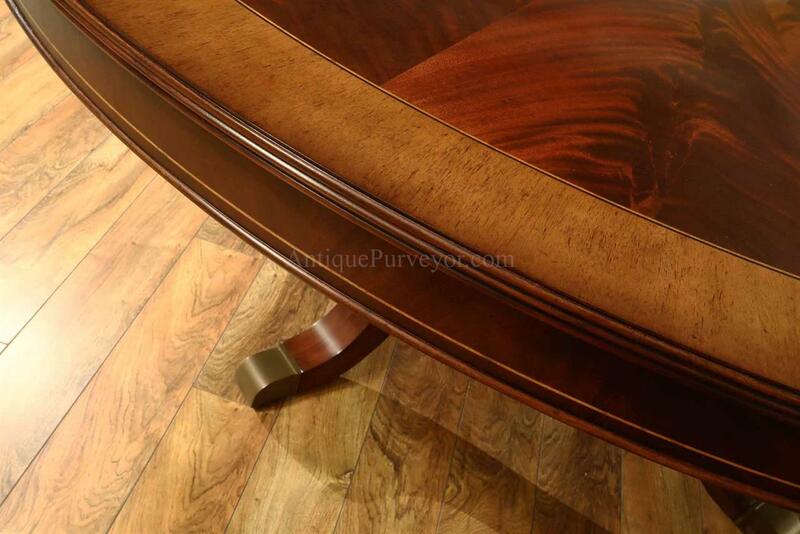 Table has a rich brown mahogany finish with a satin sheen. 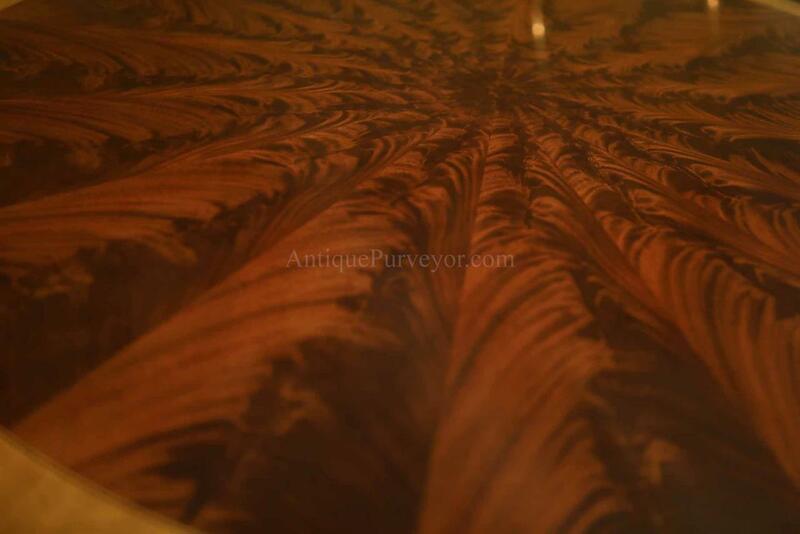 The sheen can be left as is or it can be hand polished to a glossy sheen. 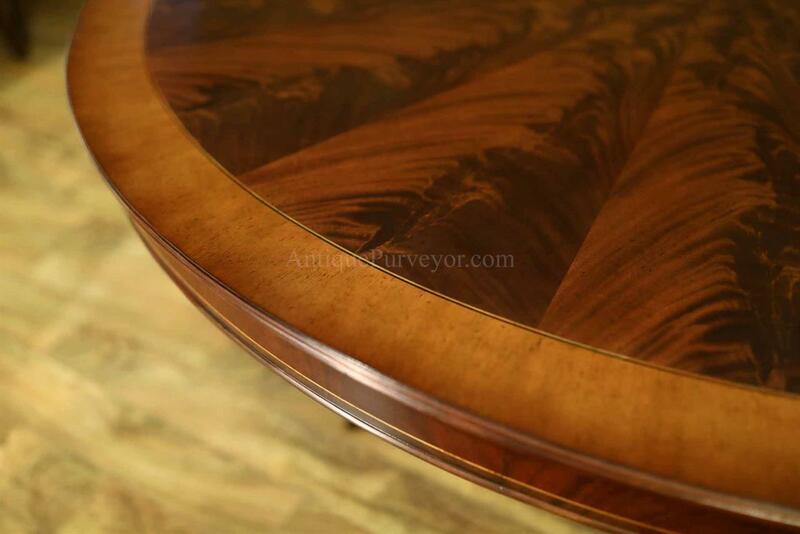 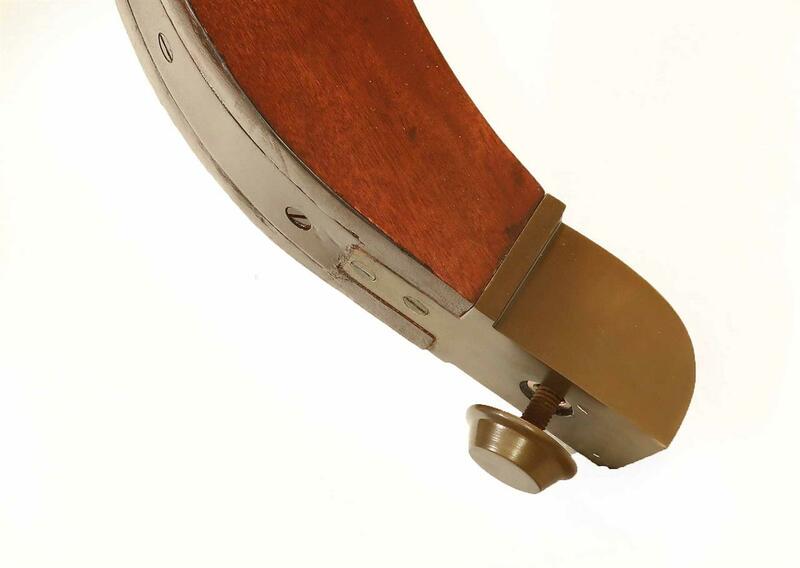 We recommend leaving the finish as-is and it closely resembles a traditional French polish finish which is razor thin. 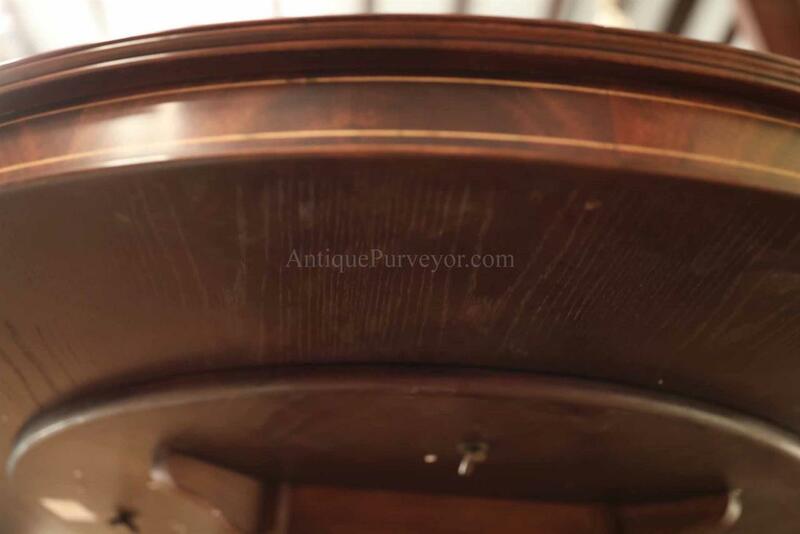 If you look carefuly into the wood grain from a few inches away you will see open wood grain through a purposful 4 mil thick finish. 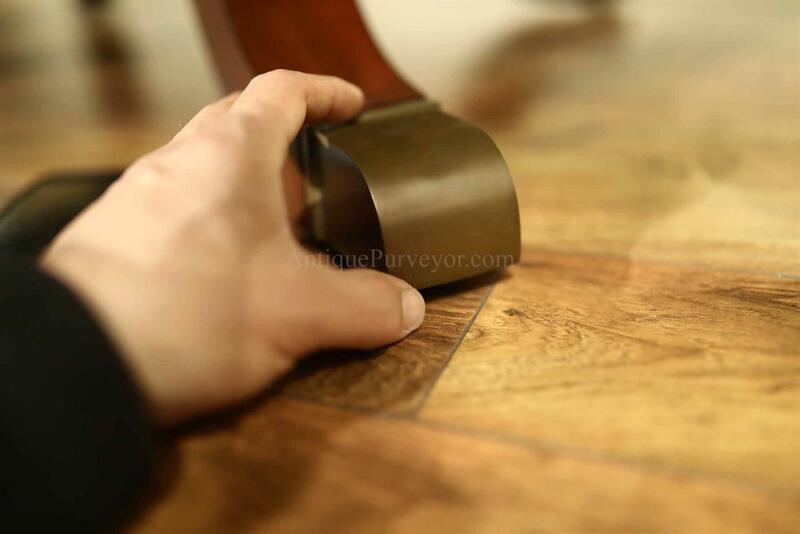 Our finishes are thin and soft enough to move with humidity changes. 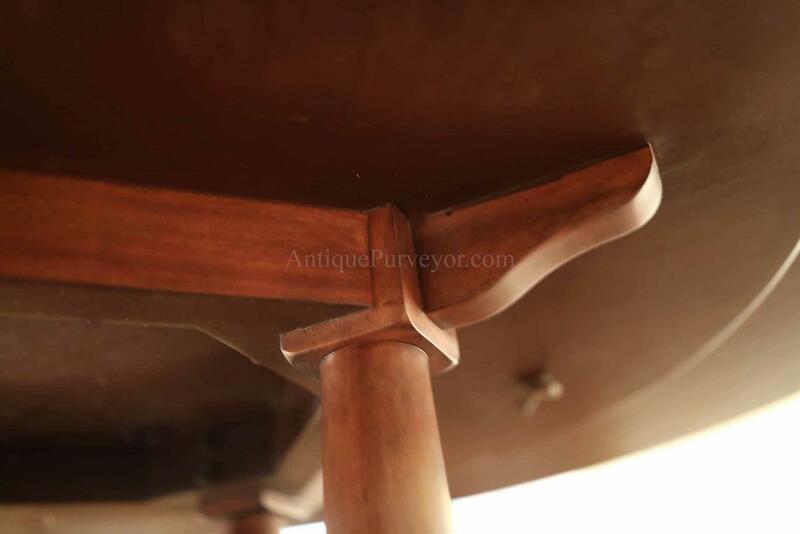 This is a very well made antique reproduction which we designed and had manufactured in quantity so pricing is more than fair. 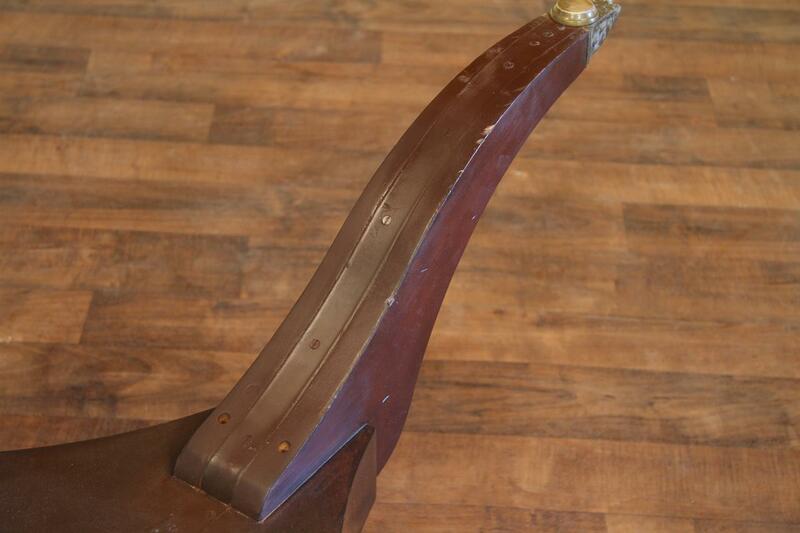 This table is heavy and very solid. 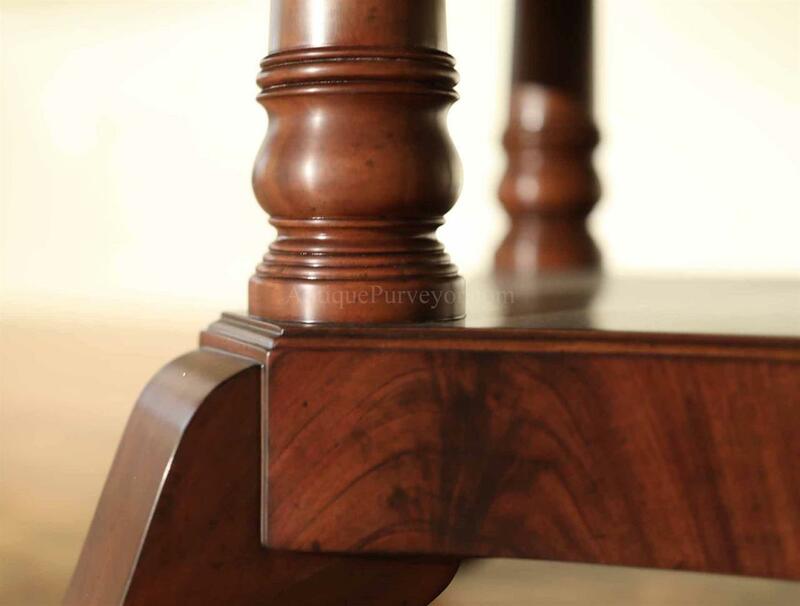 Quality can be seen and felt across every component and every detail. 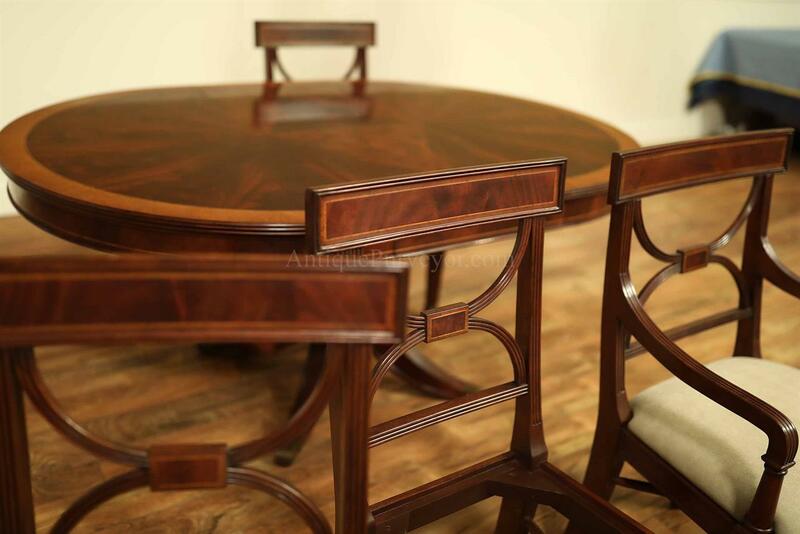 Table is fitted with a flame mahogany and satinwood pinstriped apron which adds traditional character.